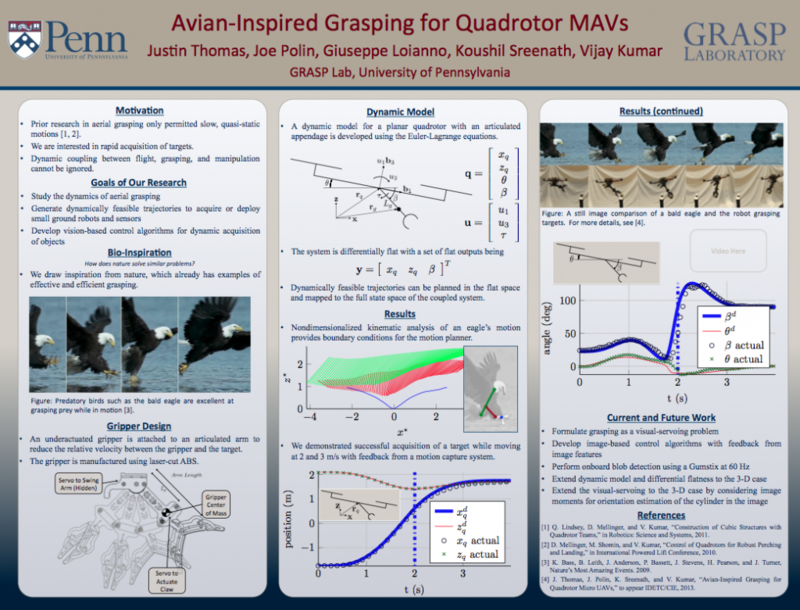 J. Thomas, J. Polin, G. Loianno, K. Sreenath, and V. Kumar, “Avian-Inspired Grasping for Quadrotor MAVs,” in Robotics: Science and Systems, Workshop on Aerial Mobile Manipulation, 2013. This entry was posted in Posters on October 24, 2013 by JustinThomas. J. Thomas, J. Polin, K. Sreenath, and V. Kumar, “Avian-Inspired Grasping for Quadrotor Micro UAVs,” IDETC/CIE, 2013. This entry was posted in Papers on August 7, 2013 by JustinThomas. This entry was posted in Press Articles on March 18, 2013 by JustinThomas. This entry was posted in Press Articles on March 17, 2013 by JustinThomas. This entry was posted in Press Articles on March 15, 2013 by JustinThomas. This entry was posted in Press Articles on March 14, 2013 by JustinThomas. This entry was posted in Posted Videos on February 7, 2013 by JustinThomas. This entry was posted in Papers on January 21, 2013 by JustinThomas.